Are you looking to buy top class furniture, home appliances or electronic items in Eastern Tennessee, but think you can’t afford them? We are the solution you need! Rental Depot in Sevierville and Knoxville, offers top line brands for furniture, appliances, electronics, and more. We offer competitive pricing, along with a bigger and better variety than other rent-to-own stores around. We have been serving our residential customers since 1995 with our quality products and free same day delivery services. Come, see our huge inventory of exquisite to everyday use products and browse through our collection today. Bed sets, tables, TVs, mobile devices, you name it, We have it! We approve all applications and we are bilingual for our English and Spanish speaking clients’ convenience. At Rental Depot, we also understand the difficulties of living paycheck to paycheck, and offer cash advance loans, with title loans up to $1000 and check advance up to $400. 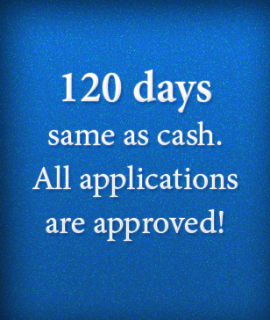 Our cash loan services are fast, simple & private to help you when you need it.